Here is a lovely garnish to bring your desserts to the next level. 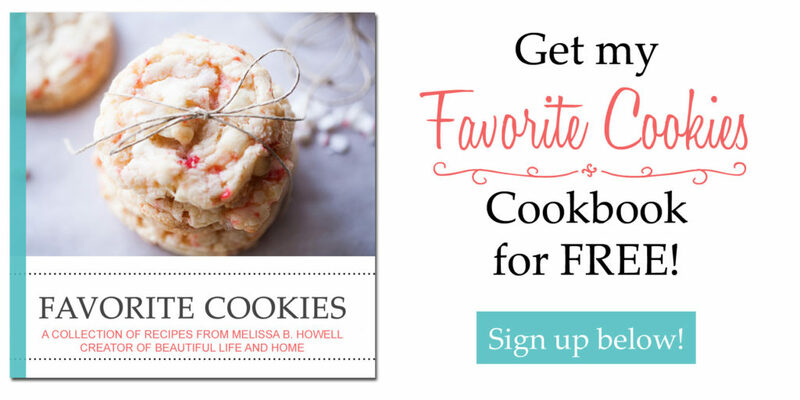 These are really easy to make, and you can eat them straight as candy, too. My oldest daughter loves these. 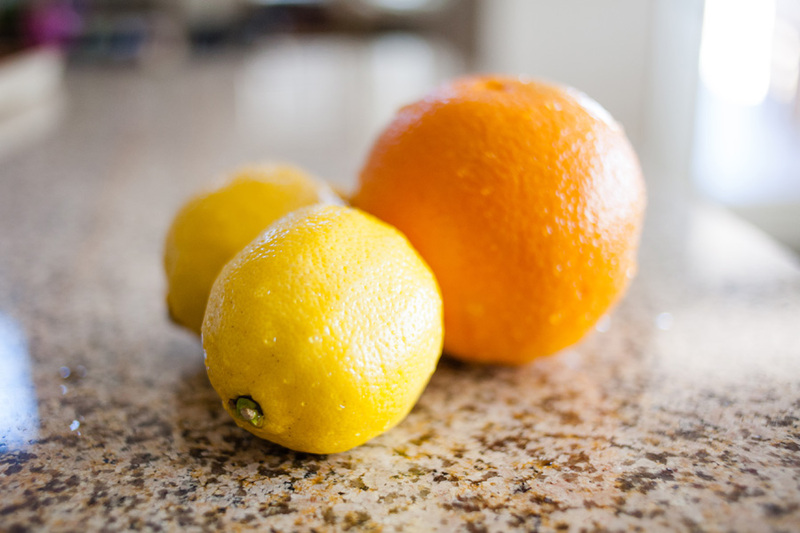 The first thing to do is select some nice citrus fruit. 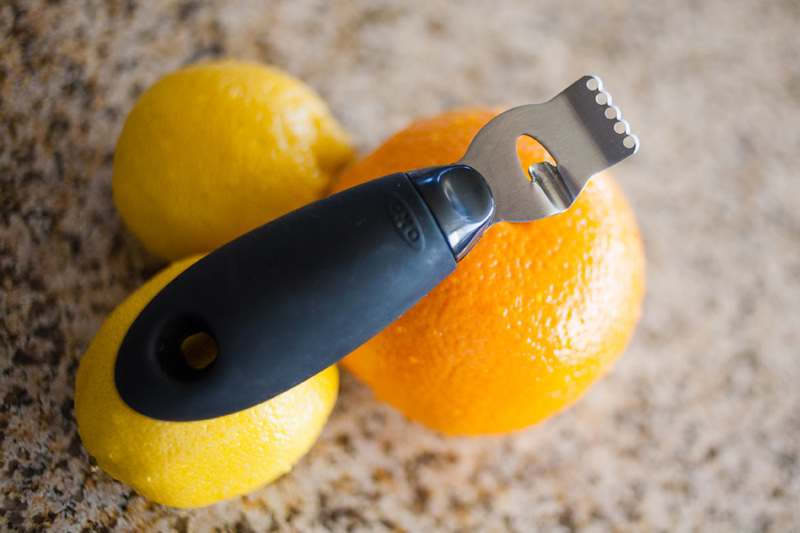 Today, I am just using oranges, but you can also use lemons and limes. Next, you’ll want to get a lovely zester like this one by OXO that I got at Bed, Bath and Beyond. 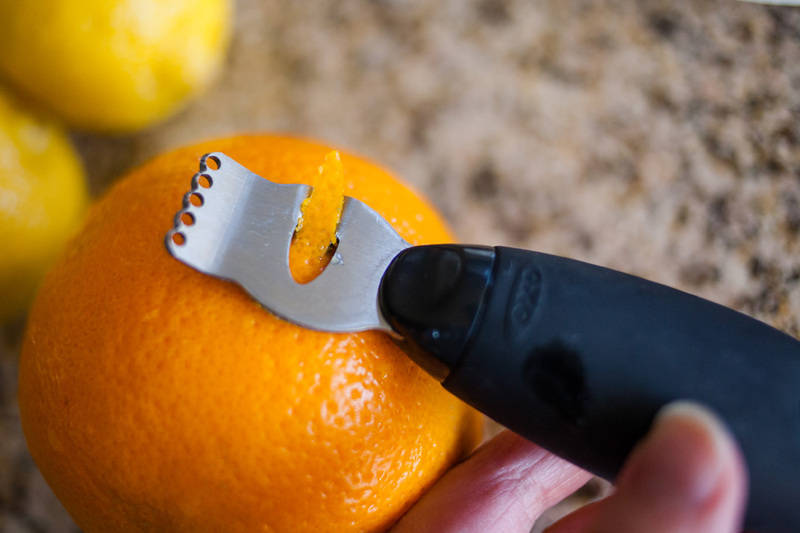 If you can’t find a zester with the large zesting option, you can also just use a paring knife. You can get a very similar zester to this one online at Wayfair. Zest your fruit. 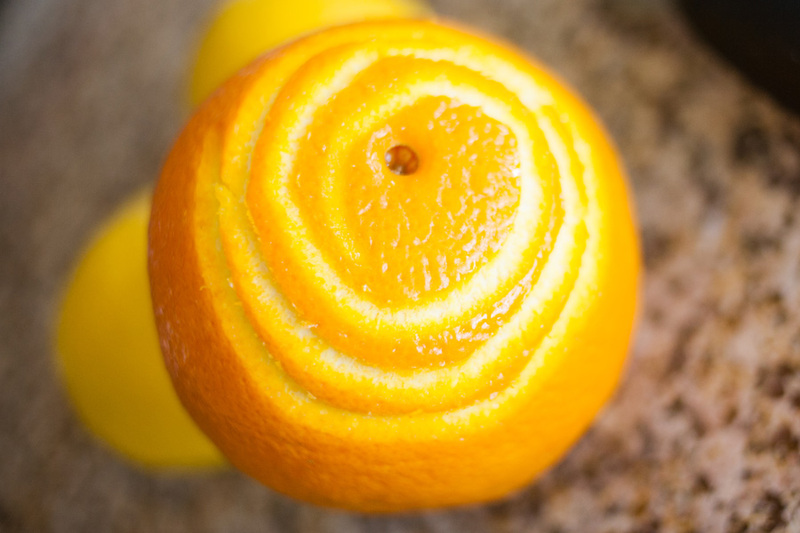 If using a knife, be careful not to get too much of the pith (the white part of the peel) as it can be quite bitter. This is how much zest I got from one large orange. 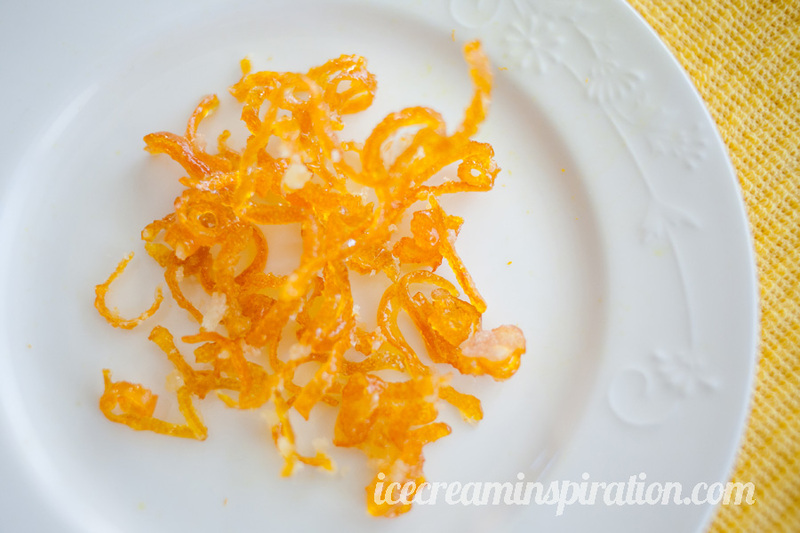 If you plan on adding the candied zest to a batch of ice cream, you may want to do two oranges. 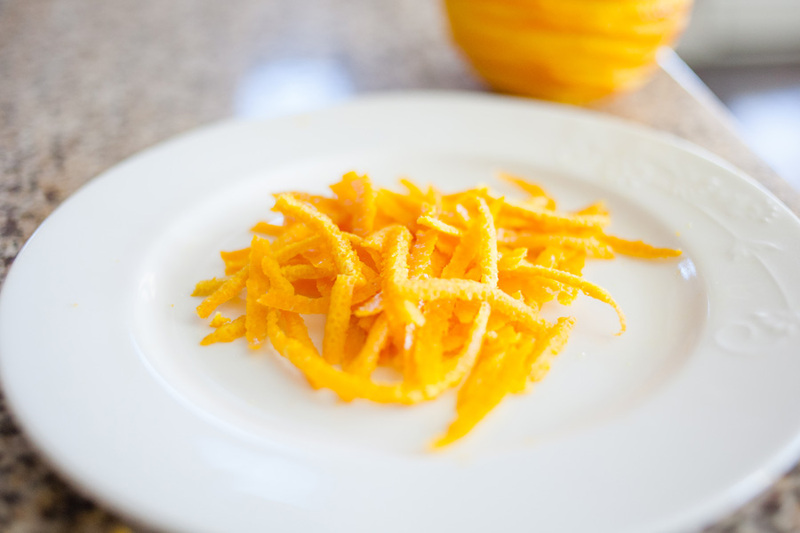 Click “next” to see how to turn the peels into candy! So fancy! I LOVE it!